If there’s a word that can easily scare anyone, it’s probably debt. Whether it’s student loans, a credit card balance, or bills, it’s definitely a stressful experience. And when there’s interest being stacked on top, debt just becomes that much more overwhelming. But thankfully there are plenty of tips and tricks that can help you get out of debt. These are great strategies that will motivate you to decrease your debt and increase your savings. Start by writing out all of your needs and payments and decide how much money should go to each expense. Learn how to spend less than what you make and set aside money for your debt. Why not start couponing, cut out unneeded subscriptions, and stop eating out. 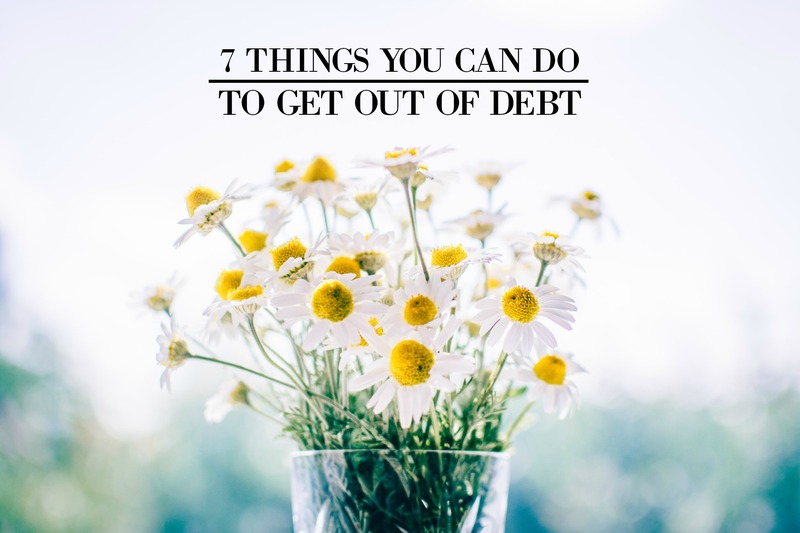 These are just some simple things that can help you cut out unneeding spending and provide more money for paying off debt. You won’t know how much you can really save unless you give this tip a try. Take a look at all your expenses so you know where your money goes. Cut costs on unneeded spendings and put that money towards paying off your debts. After you’ve determined how much to budget, challenge yourself to spend less than you make. Pretend that you make a certain amount of money (less than you make now), and spend how you would if you made that amount. Perfect for budgeting, this system will keep your cash safe in an envelope. Each envelope will have a purpose (ex: groceries, bills, rent, etc.). That way, you know exactly how much you have and there’s no overspending. And the great thing about the envelope system is that you can literally start today! Who says a vacation needs to be expensive all the time when there are many budget-friendly vacation ideas you can try. You’ll still have fun, but you won’t be going into debt for just a few memories. Before you get the latest gadgets, buy new clothes, or have your dream vacation, put your bonuses and tax refunds towards paying off debt. It’ll feel so much better to celebrate once you’ve hit that zero on your debts. Getting a second job, or taking a side hustle is a great way to pay off your debt faster. Double your income source and increase your income so you can be free sooner. Why not sell unwanted or used clothes that you no longer use? Or If you’re artsy, sell your crafts online. There’s a lot of websites where you can sell your clothes or crafts online and make good money. And if you have time, consider taking a part-time job as well. Putting in extra hours will take down the amount of time you spend paying off debt. No matter how big or small your debt is, being committed to your goal can make a difference. You just have to stay focused and motivated on all the efforts you’ve put in. It may not be an overnight success, but it’s worth the wait. So apply these tips and tricks to your situation let me know how it goes! Now, if you have any questions, let me know in the comments down below! I’d love to help you out! Great tips for getting out of debt! I’ve paid off 75,000 in 2.5 years but I’ve still got a ways to go. The debt snowball and debt avalanche weren’t right for us so We decided on a third debt payoff system. We’ve totally cut back on all spending and we are intensely paying off our debt. Can’t wait to be debt free! That’s a great point Carrie!